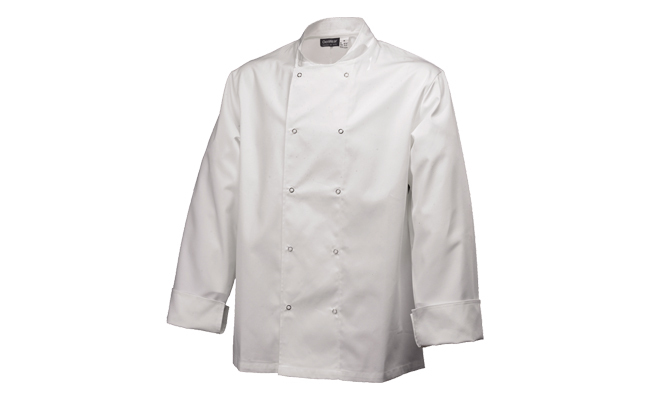 Chefs jackets are an essential piece of chefs clothing for any professional chef or aspiring home chef! 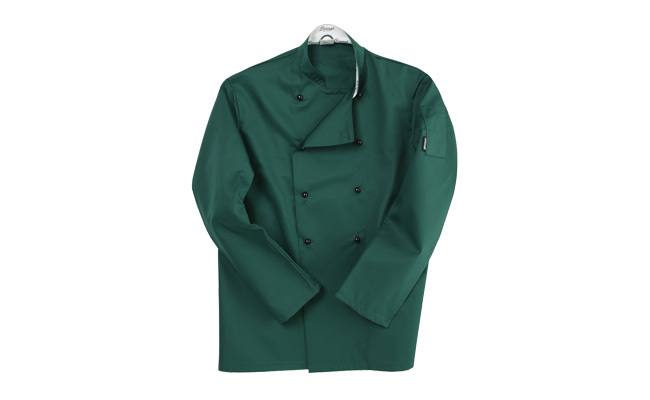 Here at Pattersons Catering Supplies we have an extensive collection of chef jackets in various colours and styles. 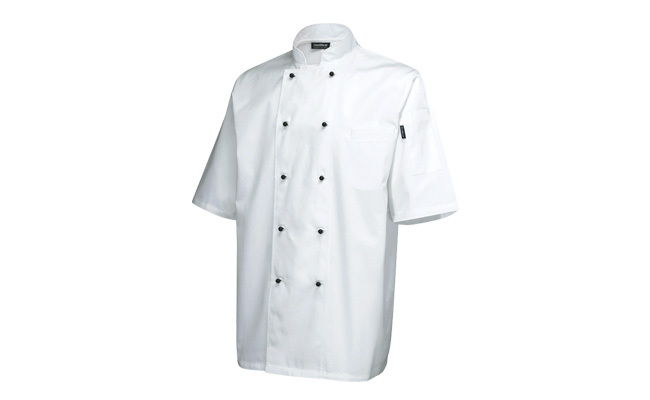 Choose from traditional chef whites to bright fun designs, or chef jackets with coloured collars and cuffs. 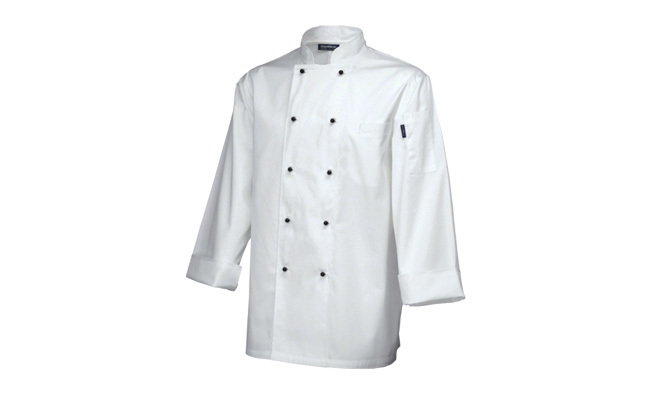 With styles to suit all tastes, Pattersons Catering Supplies collection of chef jackets has a design style for all. 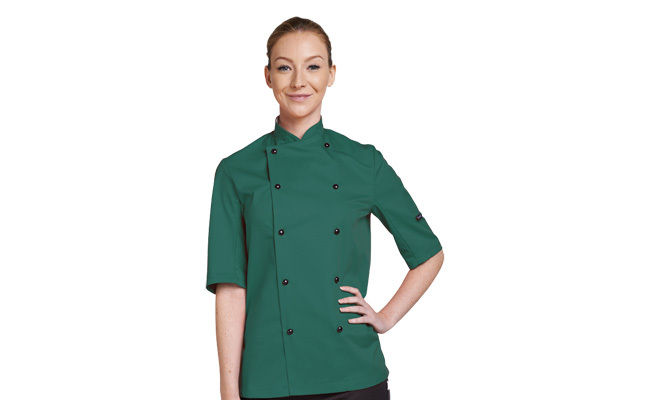 And it is not just about looks, our range of chef jackets are designed to be used by professionals and withstand the rigours of a busy, hot kitchen. 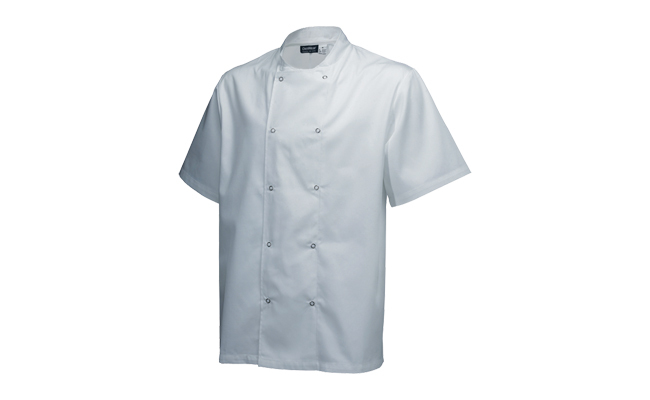 Why not try the Coolmax range of chef jackets to keep extra cool in the kitchen when things get hot! 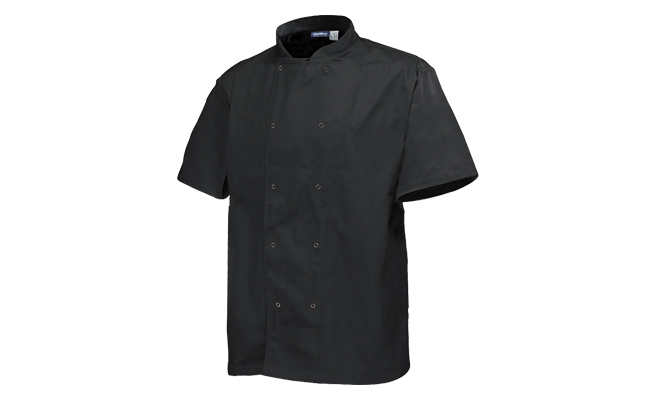 In an industry where good presentation and protection is essential, it is of paramount importance that your chefs clothing can withstand the busy and hazardous kitchen environment. 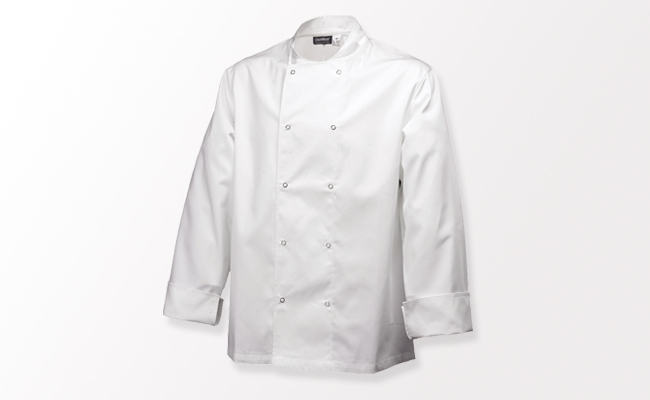 Our chefs jackets combine fantastic quality with outstanding value! 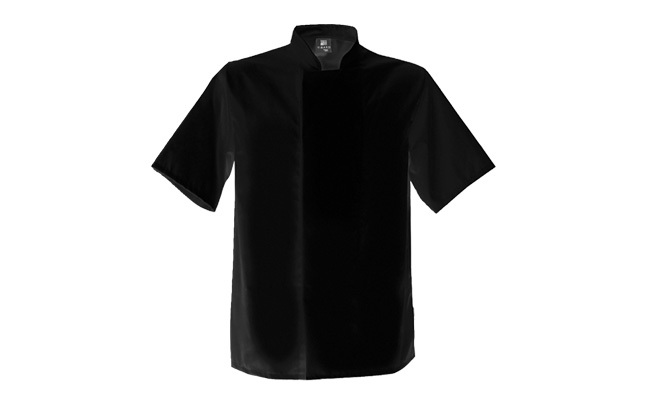 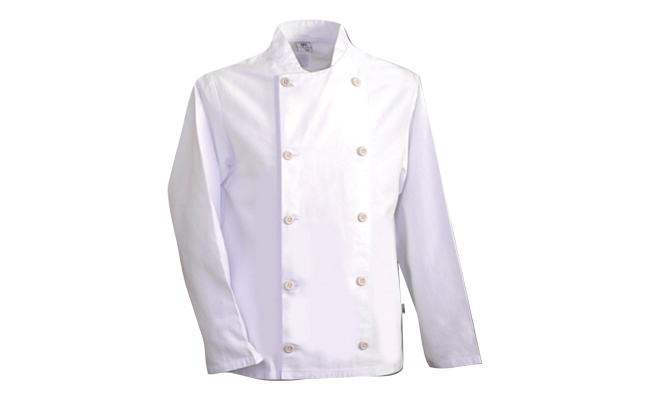 We stock summer chef jackets with short sleeves as well as standard chef jackets in black and white, as well as basic hygiene coats to stylish chef’s double breasted jackets. 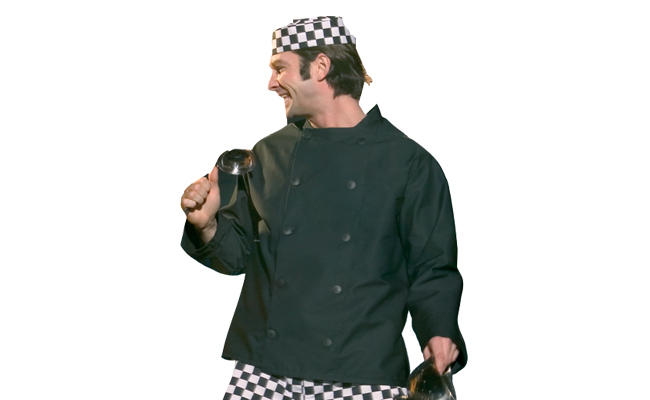 Pattersons Catering Supplies have all the appropriate cooking uniforms for every kitchen environment and budget. 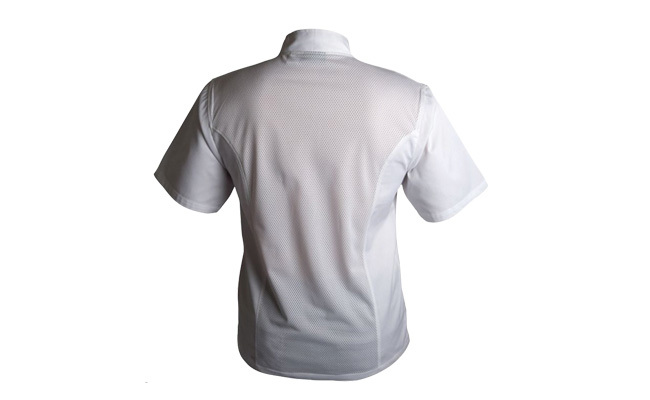 We can also arrange to brand any garment with your company logo, transforming your work wear into the perfect business accessory.